Insightful, relatable and unexpected- 'The Intern' surely would leave a mark on viewers of all ages. The film tackles more than just the issues of generation gap, it sensibly focuses on how relationships are built. In “The Intern,” Robert DeNiro stars as Ben Whittaker, a 70-year-old widower who has discovered that retirement isn’t all it’s cracked up to be. Seizing an opportunity to get back in the game, he becomes a senior intern at an online fashion site, founded and run by Jules Ostin (Anne Hathaway). 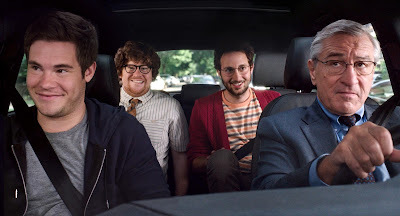 One of the strengths of the film "The Intern" is that the main characters are well-developed and the main cast presents important characters all throughout the film. The balance in the contrasting role of Ben (DeNiro) and Jules (Anne) is a good yin-yang combination that highlights and complements each other. "The Intern" gives you an overview of how a senior tries to begin his life again, side by side a young business start-up owner being overwhelmed with challenges of running a company. Our first impression on the trailer of this film was that this it would just be an ordinary feel good film. The plot of the film is surprisingly way better than we have imagined. The story flows naturally with little surprises and twists that would make you love the film more. There is just the perfect amount of humor and drama that would give you enough laughs and teary-eyes in the end. 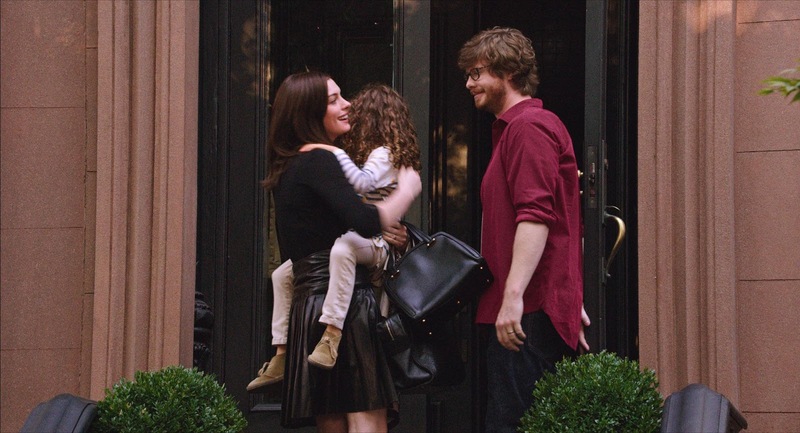 The film carries the similar feel of other Nancy Meyers' films (“It’s Complicated,” “Something’s Gotta Give,” “The Holiday”). "The Intern" offers lively and healthy dialogue that would keep the audiences satisfied from start to end. One of her signature style is that her films talk to a wide range of audiences and similarly this film would communicate to any member of your family. We first meet Ben Whittaker at a Tai Chi class because, Meyers reveals, “I saw some humor in that choice, but also because I believed Ben would know how good Tai Chi is for you.” Despite his apparent Zen, we soon learn that Tai Chi is only one of the ways in which Ben is going through the motions to forestall his restlessness as a retired widower. To fill his time, Ben plays golf and pinochle, goes to movies, reads; he’s taken cooking lessons, learned Mandarin, tried yoga and used all his frequent flier miles to travel the globe. But something is still missing. He applied as an a senior intern in Jules Ostin's start-up company. Watch Robert De Niro and Anne Hathaway in the Main Trailer of "The Intern"
Academy Award winners Robert DeNiro (“Raging Bull,” “Silver Linings Playbook”) and Anne Hathaway (“Les Misérables,” “The Devil Wears Prada”) star together in Warner Bros. Pictures’ “The Intern.” Oscar-nominated and award-winning filmmaker Nancy Meyers (“It’s Complicated,” “Something’s Gotta Give,” “Private Benjamin”) is directing the comedy from her own screenplay. Nancy Meyers Talks About Directing Hathaway, De Niro in "The Intern"
The film’s multi-generational cast also features Rene Russo (“Nightcrawler,” the “Thor” movies), Anders Holm (“Workaholics”), Andrew Rannells (“Girls”), Adam Devine (“Pitch Perfect”), Celia Weston (“No Reservations”), Nat Wolff (“The Fault in Our Stars”), Linda Lavin (“Wanderlust”), Zack Pearlman (“The Inbetweeners”), newcomer Jason Orley, and Christina Scherer (“Living with Uncle Charlie”).